This driving tour offers everything from wildlife viewing and scenic vistas to a taste of the rough and tumble Old West. You’ll visit the Fremont County Pioneer Museum and the Museum of the American West, stop at Sinks Canyon Visitor Center and head up The Loop Road into the Shoshone National Forest and stop at Red Canyon, our own scenic wonder. 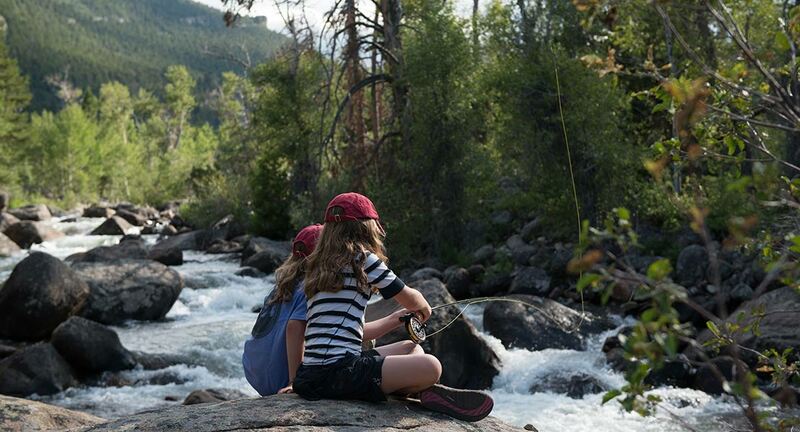 You’ll have opportunities for picnicking and fishing along the way. The friendly town of Lander, population 7,500, was the first community settled in Wind River Country. At the base of the Wind River Mountains, Lander became the central supply point for Indians, trappers, ranchers and homesteaders in the 1800s and was also a favorite watering hole for notorious outlaws, including Butch Cassidy. For a taste of history before starting on the Sinks Canyon Trail, visit Lander’s Pioneer Museum at 630 Lincoln Street. The museum has an exceptional collection of Native American and pioneer artifacts and is open six days a week. 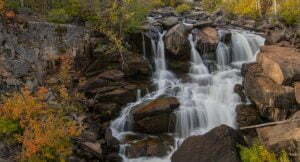 The Sinks Canyon Trail is an easily accessible mountain experience. Start by picking up a picnic for the mountains. 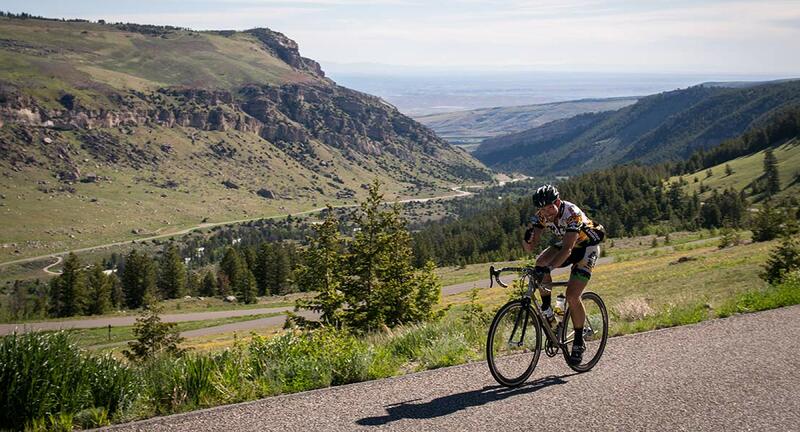 From downtown Lander, follow the signs to Sinks Canyon Road, where the tour begins. 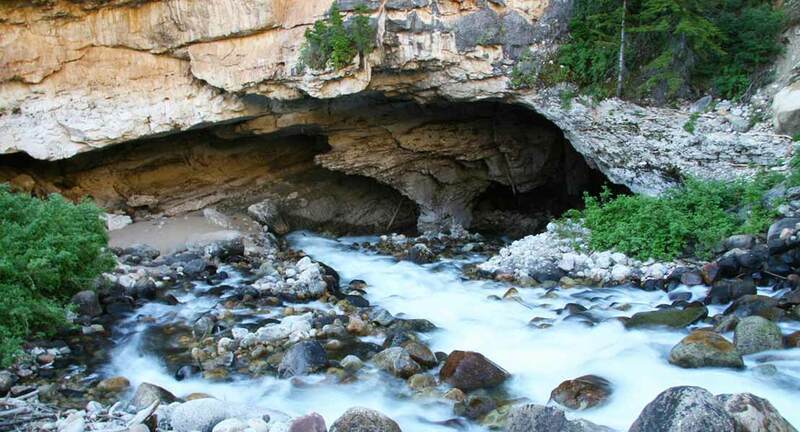 Sinks Canyon and the State Park get their name from the geological wonder known as “The Sinks.” Stop at the Rise, the Sinks and the Visitors Center to learn more about the underground disappearance of the Popo Agie River. For an intimate look at the park, ask for information on interpretive nature walks, camping and picnic areas within the canyon. 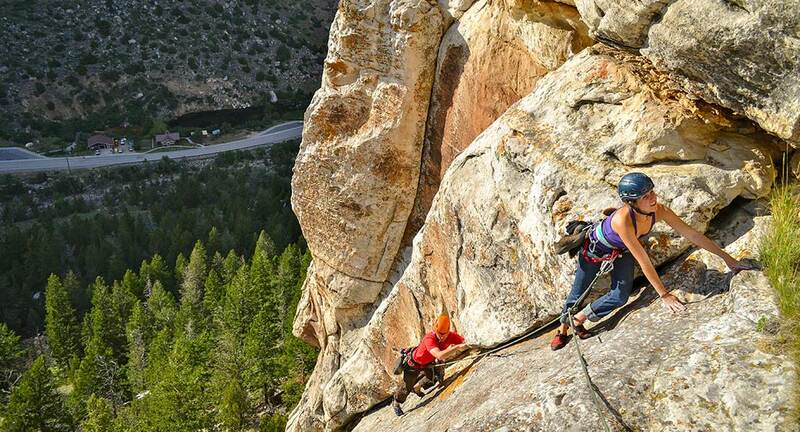 From the Visitors Center, continue south on Sinks Canyon Road, keeping an eye out for rock climbers on the cliffs to the right and wildlife everywhere else. At Bruce’s Bridge parking lot either park and take a magnificent 1.5-mile hike up to the roaring Popo Agie Falls or continue on the unpaved, single-lane Loop Road into the Shoshone National Forest. 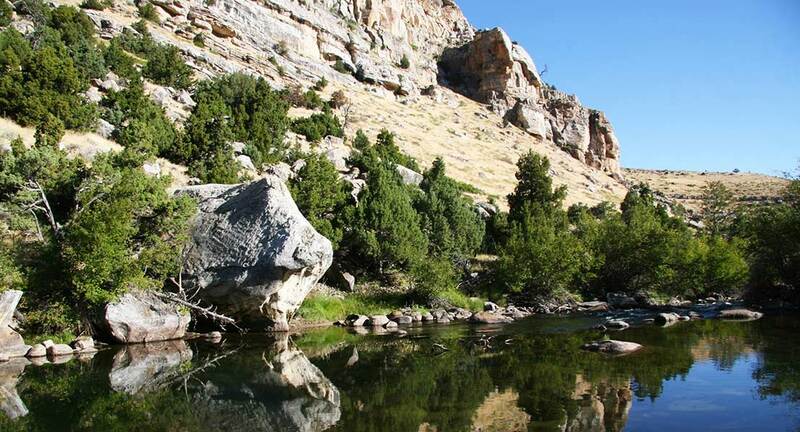 The 26-mile Loop Road is a narrow, winding dirt road that offers wonderful views of the Wind River Mountains as well as picture perfect spots at several lakes for lunch and fishing. 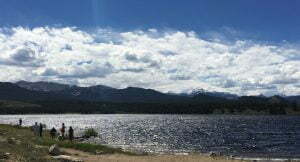 Worthen Reservoir, and Frye, Fiddler’s and Louis lakes are all accessible by car. You’re at the top of the Loop Road at almost 10,000′ when you see a “Blue Ridge” sign. At Louis Lake, motorized boating is allowed, while non-motorized boating is allowed on the other accessible lakes. Once you reach Hwy. 28, where the pavement begins again, you’re less than 30 miles from Lander. Turn left and watch for the breathtaking Red Canyon to the left. Pull into the turnout area for a long look at the deep red cliffs that overlook the Red Canyon Ranch, owned by The Nature Conservancy and operated as a working cattle ranch. The Sinks Canyon Tour over the Loop Road and back to Lander can be completed in a half day by just driving and sightseeing. The entire loop is roughly 65 miles, but remember that the 26-mile Loop Road is a rough gravel road with a 25 mph speed limit. With only a few stops, the trip can usually be completed in less than three hours.